When the Australian Youth Orchestra made its 2001 European tour, I tagged along as assistant tour manager, a role that involved some wrangling and pastoral care, and a great deal of heavy lifting. After concerts in the Netherlands and France, conducted by Mikko Franck, we fetched up in Berlin for rehearsals of a new program conducted by Vladimir Ashkenazy. Where Franck was a rising star, he was not much older than many of the musicians; by contrast Ashkenazy was, of course, something of a demigod, and the mood before the first rehearsal was skittish to say the least. We ‘roadies’ took a seat as Ashkenazy, from the keyboard, began leading the orchestra through the Mozart concerto they were to perform. He quickly established a rapport with the band though his immensely gentle courtesy, playing phrases on the piano to demonstrate how he would like a phrase or motif to be played. The change to the orchestra’s sound and ensemble over the first 20 minutes or so was little short of miraculous. Once the rehearsal was over, we needed to shift double basses, timpani and various other bulky percussion instruments, and were not sure what to do when Ashkenazy sat down at the piano and begin practising. We offered to come back later so as not to disturb him but he insisted we go ahead with our packing. So, while shouldering marimbas and tamtams we were able to enjoy one of the world’s greatest pianists working his way through a recital program. It would be an understatement to say that each of the Sydney Symphony Orchestra’s Chief Conductors of recent times has been very different from his (yes, I know…) predecessor, with varying emphasis on showmanship and discipline, and of preferred repertoire. It was always understood (and expressed in his official title) that owing to his international commitments, Ashkenazy would spend less time in Sydney than some of his precursors. In the area of repertoire he seemed inclined to build seasons around the festivals, dedicated to canonical composers, which are the mainstay of current orchestral programming. But who better to perform the canonical repertoire? And as my opening anecdote attempted to show, a combination of infallible courtesy, charm and a lack of ego (as against false modesty) can work magic at communicating what such a conductor wants from an orchestra. 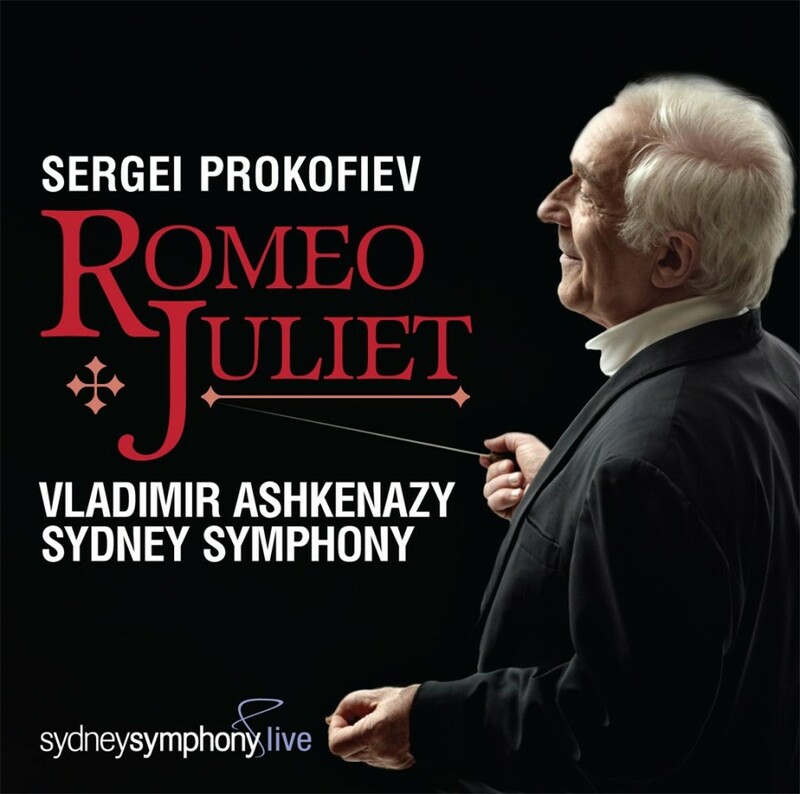 This recording of Prokofiev’s Romeo and Juliet is in many respects a perfect document of Ashkenazy’s legacy to the orchestra. Prokofiev had left the nascent Soviet Union at around the time of (but not in response to) the Revolution, but visited, and was feted, from time to time until the 1930s when he returned for good. Just why he returned as Stalin was letting loose the Terror is much discussed: was it that there were already two prominent Russian composers-in-exile (Stravinsky and Rachmaninoff), or that the preeminent Soviet composer, Shostakovich, was about to experience the first of his official denunciations, or, as recently-published diaries suggest, he was simply homesick. The music that he wrote from then on included its fair share of ‘patriotic’ noisemaking (as did that of most composers, even such ‘pure’ modernists as Galina Ustvolskaya), a world away from the knockabout cynicism of, say The Love of Three Oranges. But the fact is that Prokofiev’s music, before he returned to the Soviet Union, had already begun to move towards the kind of language that he would describe as ‘light-serious, or serious-light’; it did, however, furnish him with an idiom to communicate to the vast new audiences for classical music that Stalin’s regime had created. Which is not say that Romeo and Juliet had an easy birth: Leningrad’s Kirov Theatre rejected the initial proposal because of the story’s tragic ending but Prokofiev’s friend, theatre director Sergei Radlov, suggested a happy conclusion in which the lovers avoid death, making it ‘a play about the struggle for the right to love by young, strong progressive people battling against feudal traditions and feudal outlooks on marriage’ and thus a perfect piece of optimistic Socialist Realism. As recent research by scholar Simon Morrison in his The People’s Artist has shown, the happy ending was also attractive to Prokofiev for religious reasons. With his wife, he had begun practising Christian Science in the 1920s, and accepted that Good ‘will necessarily triumph over the finite and temporary phenomenon of evil’; the new version of Romeo and Juliet would demonstrate that as a kind of parable. Fortunately, wiser counsels – and Shakespeare – prevailed. Moscow’s Bolshoi Theatre had taken over the commission for the work, planning to premiere it in the 1935-6 season but play-throughs of the score in Moscow had failed to enthuse bureaucrats, dancers or audiences. In the meantime, the artistic directorate of the Bolshoi fell foul of Stalin’s purges, and both the artistic director and the proposed conductor for Romeo and Juliet were arrested and shot. The premiere of Romeo and Juliet, eventually but successfully, was given in Brno, in the then Czechoslovakia in 1938, at which time the Kirov Theatre in Leningrad offered, after a memo from Stalin, to give the Russian premiere in January 1940. There were numerous problems, though The composer was actually very accommodating, subtly changing orchestrations to be heard more clearly by the dancers on stage, for instance, and he reported to a friend that ‘after 15 curtain calls’ at the Leningrad premiere, some of the dancers felt the work ‘might be acceptable after all’. It is relatively unusual to hear the complete score as a concert-piece; most of us who are familiar with it (as against the suites that are routinely performed in concert) have become so through the legendary filmed performance by Margot Fonteyn and Rudolf Nureyev of Kenneth MacMillan’s choreography for the Royal Ballet in the mid-1960s. Under John Lanchbury the orchestra’s sound has a certain acerbic quality at times; more recent commercial recordings have had the luxury of studio conditions and advanced technology. Of these recordings we might mention Naxos’ CD with the National Symphony Orchestra of Ukraine, where Andrew Mogrelia elicits an almost painfully sweet sound at times, and Chandos’ disc with Dimtri Kitajenko conducting the Danish National Radio Symphony Orchestra in what sounds like the immaculate acoustics of the Danish Radio Concert Hall. The Ashkenazy/SSO version has been compiled from material recorded in three lots between 2009 and 2011 and it is to everyone’s great credit that there is no sense of fluctuations of personnel or quality. 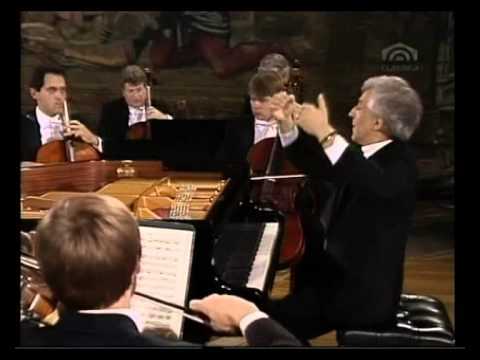 Ashkenazy gives an absolutely convincing account of the work as overarching drama, laying open the development of musical ideas that advance it. His reading is far less Romantic than Mogrelia’s – in fact his tempos are often very slightly faster than the other two recordings except, notably, in the final three numbers where the pathos of the situation calls forth slightly more expansive speeds – but it is nevertheless opulent, elegant or brutal where those qualities are called for; the sound may not have the absolutely lapidary quality of the Danish recording, but the SSO’s ensemble and intonation is consistently terrific. Ashkenazy has obviously communicated his intentions with absolute clarity, and the orchestra has responded wonderfully.